On 26th May 26, 2017, the University La Sapienza in Rome, the Department of History, Culture and Religions, organized the seminar on School and Religious Super Diversity: Italian and European didactic experiences within the framework of Master in Religion and Cultural Mediation. The aim of the seminar was to present good practices at the Italian and European level in the field of teaching of religions with objective, scientific and intercultural approach. The keynote speakers came from prestigious Italian and European universities and was addressed to the Master’s students. 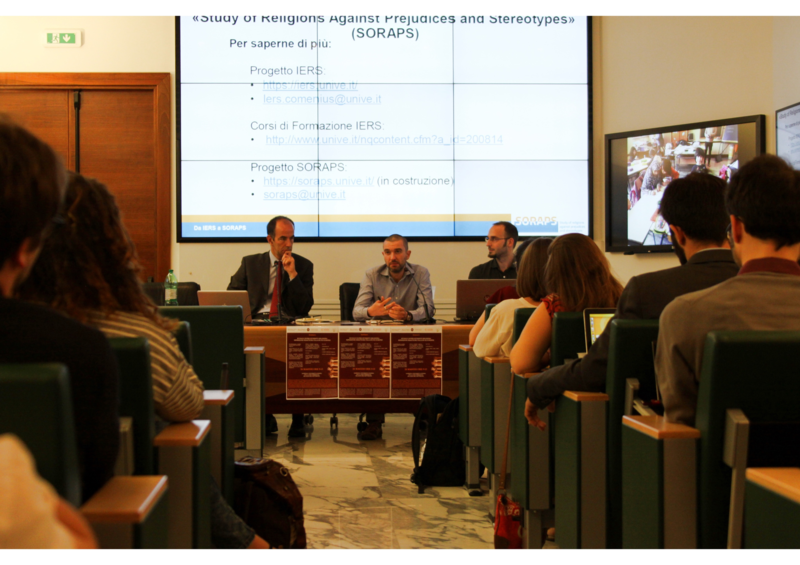 SORAPS was presented by Giovanni Lapis of Ca ‘Foscari University of Venice, project coordinator. More info about the program of the seminar here. The adoption of the Council Recommendation on the validation of non-formal and informal learning of 20 December 2012 acknowledges the important role this process can plan in rethinking education, in improving the supply of skills to the labour market, in promoting mobility and in enhancing competitiveness and economic growth. It also reflects that existing arrangements for validation of non-formal and informal learning are considered to be too limited in coverage and impact. While arrangements for validation have been put in place in some countries and sectors, the knowledge, skills and competences acquired outside schools, universities and VET establishments remain in many cases invisible and not appropriately valued. The seminar on 9-10 April 2013 will provide the first opportunity for validation stakeholders from all relevant areas, to discuss and take a first concrete step towards putting elements of the Recommendation into action. It will be a working seminar targeted towards practitioners and policy-makers who are directly involved in validating non-formal and informal learning.